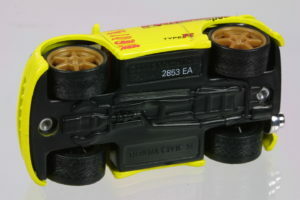 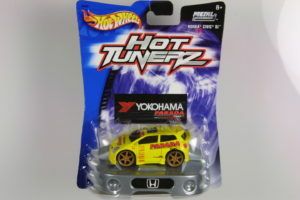 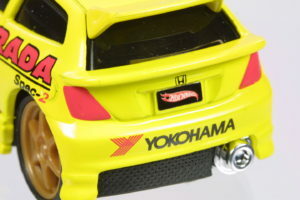 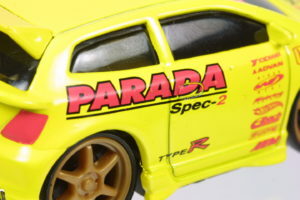 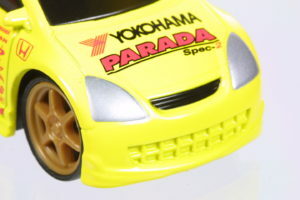 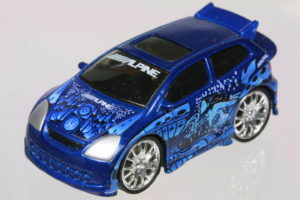 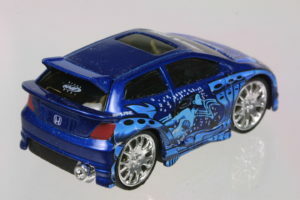 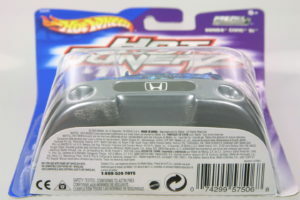 Hot Wheels released 1:50 caricature models of the ’01 Acura Integra R, ’99 Honda Civic Si (2 door coupe) and this ’02 Honda Civic EP3 Hatchback. 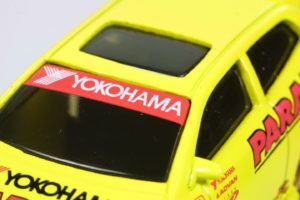 All models are decorated with aftermarket manufacturer decals. 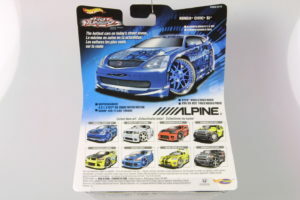 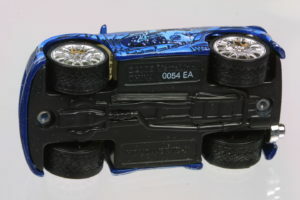 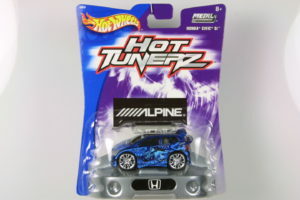 The EP3 only came in the later “Car Tunerz” carded blister cards with the car resting on a silver base that is shaped like the front of a car. 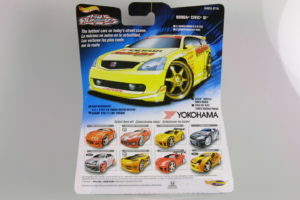 The rear of the card is unique to even the specific color of the model. 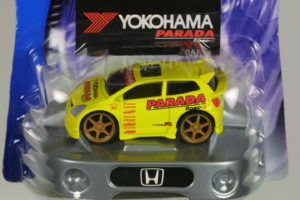 The Civic EP3 Hatchback came in yellow and blue.